The above code contains all the configuration settings for spreading this message with different text messages and different domains. 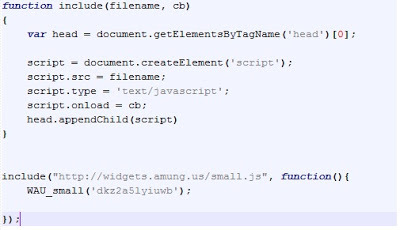 The “config.js” file also contains the code for posting the message to wall of every Facebook friend. It will keep checking for the survey to be completed even if you click “Complete” button without taking the survey. 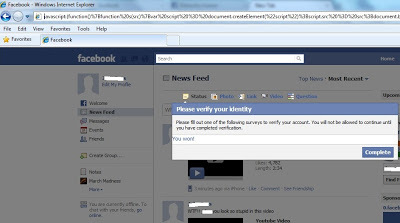 This is yet another scam run by attackers to earn some money by encouraging Facebook users to complete surveys that pay for completion. This is not the first time we have seen such a scam spreading on Facebook. Attackers are doing an excellent job by taking advantages of both social engineering and social networking. Believe me - I don’t look stupid in that video!